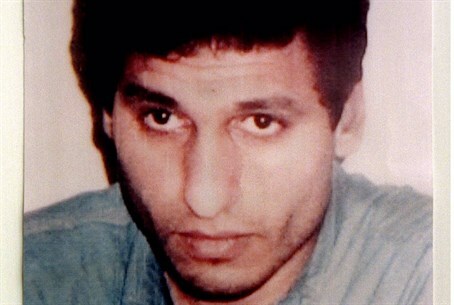 Hamas says body of Mohammed Deif's daughter found in rubble two days later; Deif's fate remains unclear. Following the targeted assassination attempt Tuesday night against Mohammed Deif, head of the Hamas "military wing" Al-Qassam Brigades, the body of another family member of the arch-terrorist has reportedly been found. Hamas emergency services spokesperson Ashraf al-Qudra told AFP that on Thursday, the body of Deif's three-year-old daughter Sara was pulled from the wreckage of the six-story building Deif was thought to be in. In the Tuesday night airstrike, Deif's second wife Widad (27) and seven-month-old son Ali were killed. The two were buried on Wednesday in the Jabaliya "refugee camp" as thousands shouted for revenge. There has been confusion as to whether the strike actually managed to take out the arch-terrorist or not, in the sixth Israeli assassination attempt against Deif. In two previous airstrikes he suffered serious injuries, likely harming his agility and ability to escape. Israeli intelligence officials on Wednesday told Fox News that the most recent attempt finally found its mark and ended Deif's reign of terror on Israeli citizens. However, Hamas has been adamantly denying that Deif was killed, with spokesperson Sami Abu Zuhri claiming he is still "alive and well." Hamas has also denied a supposed "death certificate" for Deif which has been widely circulating as a "forgery," even while refusing to give specifics about his condition after the attack, leading to speculation he may in fact have been killed or severely injured. Deif is responsible for masterminding numerous suicide bombings during the nineties and several abductions of IDF soldiers, including Nachshon Wachsman, hy"d. More recently, Deif was heavily involved in upgrading Hamas's rocket arsenal. In a pre-dawn airstrike Thursday morning, the IDF took out three other senior Al-Qassam Brigades commanders, including Mohammed Abu Shamalah, Raed al-Attar and Mohammed Barhum.